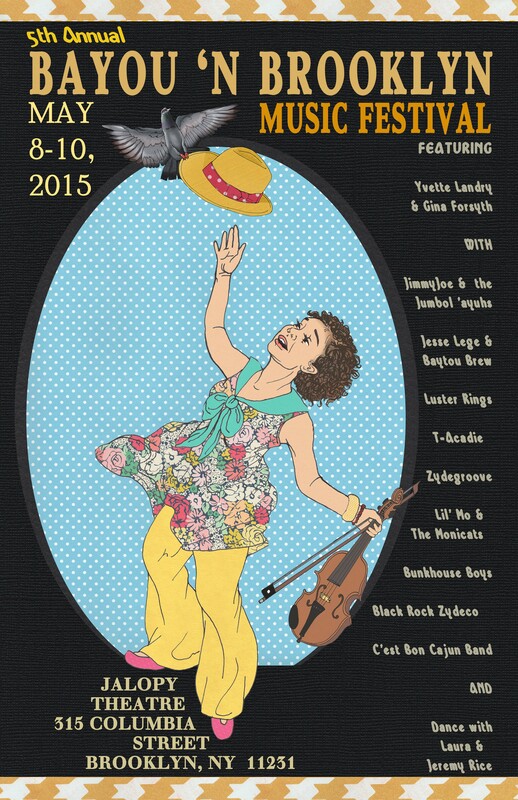 Cecilia Roberts and I will be the featured visual artists at the Bayou-n-Brooklyn Cajun Music Festival this year. We will be drawing musicians, selling prints and posters, as well as, exhibiting our work in the space. Looking forward to lively music, tasty cuisine, expanding my creative village, and spending time with my favorite visual artist, my big sister Cecilia!